Apacer company release its AH172 Mobile Flash Drive “FlowerCandy” that will surely love by techie ladies. The FlowerCandy comes in two lovely colors, and what’s good about it, the AH172 Mobile Flash Drive is a dedicated flash drive to Android Smartphones and tablet PCs that supports USB-OTG (on-the-go), leaving more space on your Smartphone or tablet PCs. Due to the stress of modern life, a healing gadget with cute look, playful design will become a market hit. AH172 features both “useful” and “healing”. Users can enjoy the whopping storage space as well as the flexible hand feel, thanks to its eco-friendly silica gel casing. Once you have the AH172 in your hands, you’ll find it’s irresistible. This is how it effectively comforts you and releases your pressure from life! 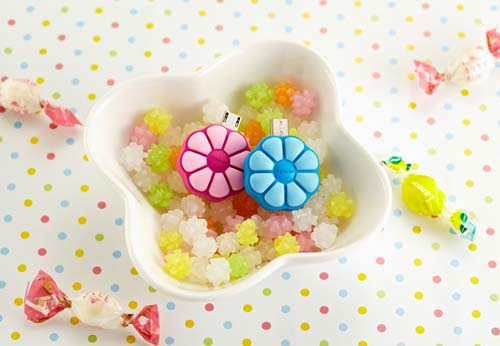 Available in two matching colors, “Romantic Peach” and “Fresh Blue,” the flower-shaped candy is the best love token for lovers. The sweetness of love and the bitterness of jealousy can finally turn out to be the subtle happiness of romance. AH172 embodies such refined affection into a piece of colorful, flowery candy — like a heart-to-heart secret kept between lovers. As 16 GB remains the standard storage capacity for most smartphones, such limited space prevents users from storing large quantity of app-related data, recorded videos and photos. If you want to enjoy digital content such as e-books, music and video clips, Apacer mobile flash drive is always the best option to expand the capacity. 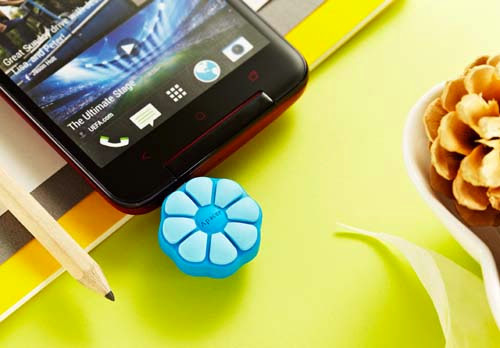 Whenever and wherever you are, AH172 “FlowerCandy”, which comes in three capacities (8 GB, 16 GB and 32 GB), can easily add large storage space to your smartphone and tablet PC! You can connect AH172 “FlowerCandy” mobile flash drive to any OTG-compatible Android smartphone/tablet PC in no time. This means that you can have fun sharing with your friends the digital content (such as video clips or photos) in your phone. You don’t have to bring your laptop. All you need is an Apacer mobile flash drive — whereby the files can be easily and quickly transferred to your friend’s smartphone/tablet PC at any time. Simply by connecting the USB adapter supplied with the product, AH172 “FlowerCandy” soon becomes a standard USB 2.0 flash drive. Compatible with all computers and USB devices, the gadget can add spice as well as speed to your digital life. where we can buy that? i really like the flower design.